RSA Screener was designed for cleaning cereals and other products, allowing a precise removal of husks and foreign particles. 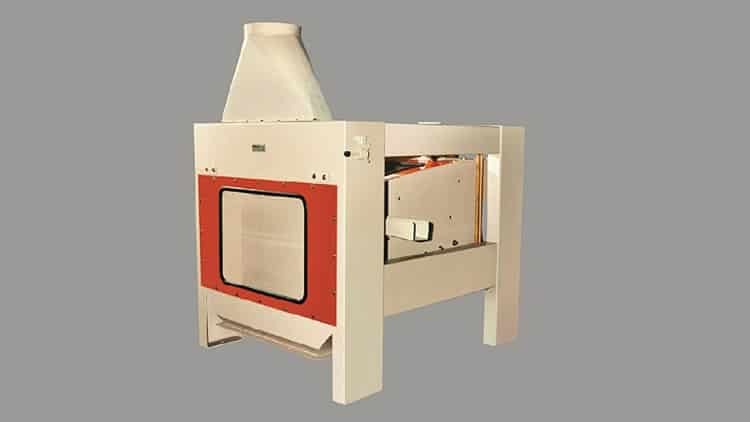 The machine features two superimpossed sifters, detaching de upper one the coarse elements and the lower one the finest particles. Once reaching the exit, the product goes trough an air channel and decantation chamber that jointly remove lighter particles. The air currents that circulate whithin the air chanell lift up lighter particlesmaking all of them falling down in on the channel of decantation chamber, where they are removed by an oscilate valves system.